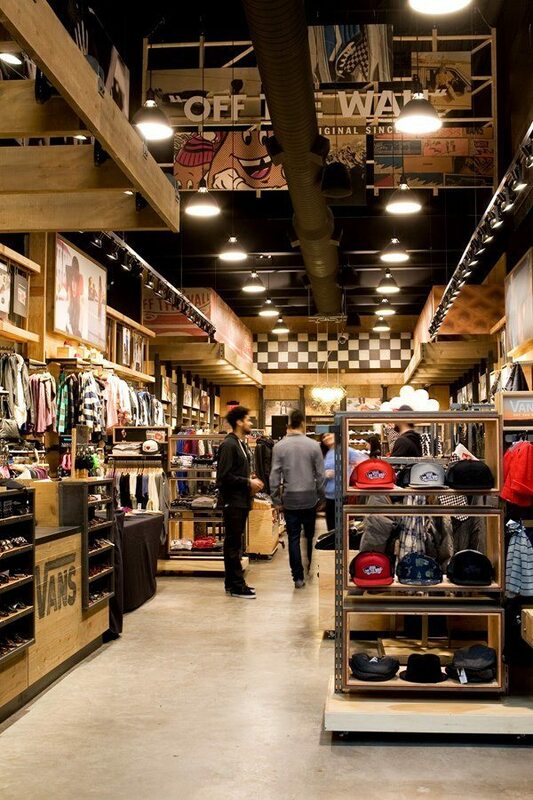 Fresh from the opening of the Vans store at Mapleview Mall in Burlington, the brand celebrated the opening of its second Canadian store on Toronto’s Yonge Street with an in-store event Saturday December 8 from 12-3pm. The downtown Toronto location is state of the art in design and will serve as Vans’ flagship store for a new design that is currently rolling out globally. Legendary skater John Cardiel was on hand to meet with fans and deliver his favorite tracks on the turntables as the event’s guest DJ. Joining him, Los Angeles based artist Greg ”Pnut” Galinsky greeted fans and custom painted free hats for everyone in attendance. Throughout the event caterer Marigolds and Onions offered guests delicious food, treats and drinks. The new store was built on a previously vacant lot and boasts 30 foot ceilings. The brand’s authentic story and foundation within actions sports, art and music is told through detailed merchandising and aspirational imagery. The highly anticipated store carries not only several of its footwear categories but also a complete assortment of apparel and accessories for men, women and children. Vans, the original action sports footwear and apparel company, is a brand of VF Corporation (NYSE: VFC). 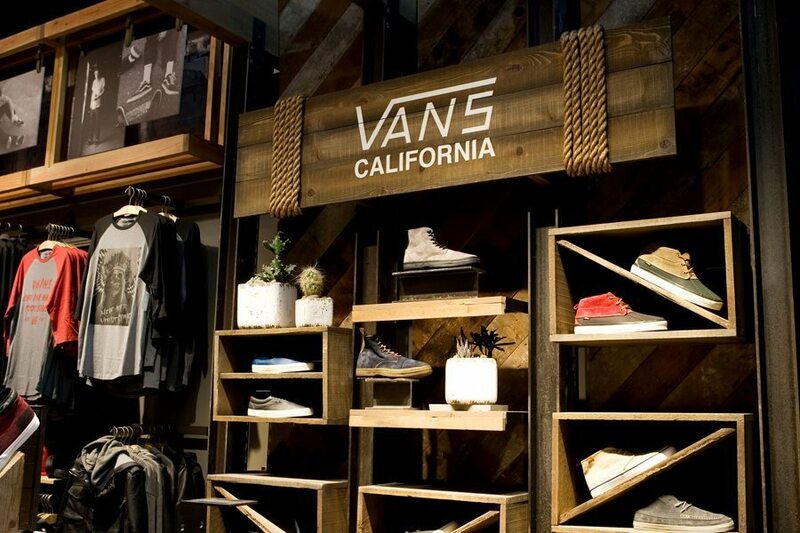 Vans collections include authentic footwear, apparel and accessories, snowboard boots and the Pro-Tec line of protective gear and are sold in the United States through more than 230 company owned stores as well as independent retailers. Internationally, Vans sells its goods in approximately 70 countries through a network of subsidiaries, distributors and foreign offices. Vans promotes action sports lifestyle and youth culture through support of athletes on boards and bikes all over the globe and through progressive events such as the Vans Triple Crown of Surfing®, the Vans Downtown Showdown, the Pro-Tec Pool Party and the Vans Warped Tour®. For more information on Vans, please visit www.vans.com. John Cardiel was born in 1973 and grew up in a small coastal area in Northern California. John picked up a skateboard when he was in second grade and from that first push it was full speed ahead. Cardiel spent the next 20 years on a board, traveling the world skating. With his “skate anything, anytime, anywhere” attitude, John became one of the most respected riders in the industry, earning his reputation as a skater’s skater. In 1992 Cardiel received top honors when he was named Thrasher magazine’s Skater of the Year at just 19 years old. In 1994 Cardiel and good friend Julien Stranger founded Anti-Hero Skateboards, one of the most respected board companies in the industry. In 2003 Cardiel was involved in a tragic car accident and suffered a serious spinal injury that left him paralyzed below the waist. John was told he would never walk again. Unwilling to accept that fate, John spent six months in a wheelchair before he was able to walk on his own again. Today John not only walks, but rides his bike and skates regularly. Widely regarded as one of the most influential and inspiring skateboarders of his time, John was recently named one of Transworld Skateboarding’s “10 Skaters Who Changed the Decade.” Known for his infectious energy and pure stoke, Cardiel has a passion for music and bikes and calls Sacramento, CA home. Cardiel’s sponsors include Vans, Anti-Hero, Spitfire and Independent. Greg “Pnut” Galinsky was born in Los Angeles on July 22, 1971 and is a descendant of the L.A. skate, surf, and music scene of his childhood growing up on the beaches of Santa Monica. The diverse influences of his family and childhood in southern California fostered his self-expression and are the foundation upon which his creativity grew. From an early age, Galinsky was influenced by skateboarding, surfing, and living near the ocean. In his formative years, he was inspired by the cutting edge innovations of funk, soul, reggae, jazz, hip hop, and punk rock. Galinsky’s work depicts elements of nature or images of music culture through mixed techniques and media and on scales ranging from very small to large murals. Galinsky strives to capture the spirit of all that he loves in his work. Through his 1971 Gallery in San Francisco and lifestyle brand “gg”™ Galinsky recently designed eight different shoes for VANS Spring 2007 Vault Series. Other collaborations for Galinsky both past and present include Barney’s, Collette FR, Charles & Ray Eames Office, Quicksilver, Levi’s, Volcom and Kia cars. For more visit: http://www.gregpnutgalinsky.com. Previous Previous post: Is Demi Moore Crazy or Enjoying Life?